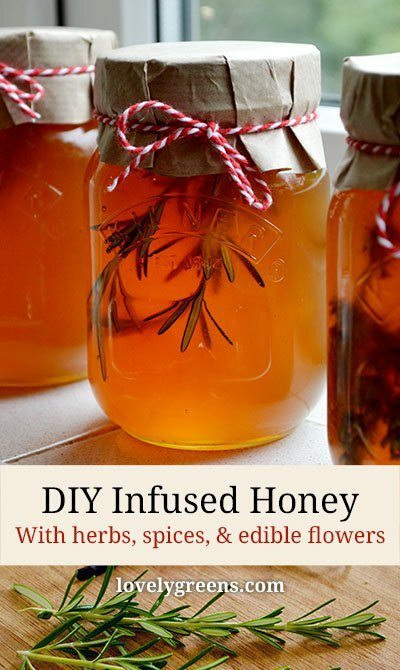 You can create your own even more powerful versions of ‘flower honey’ by infusing honey with your own delicious additions. Imagine vanilla & cinnamon honey dribbled onto porridge, lavender honey on greek yoghurt, or chili honey on goats cheese canapés. Delish! Above you’ll find a full video tutorial for this project and below you’ll find the written instructions. Using just a few ingredients and materials, you can make a delicious golden treat for yourself or handmade gifts for your loved ones. Honey is a generally acidic and low oxygen environment and not a hospitable environment for microbes. However, by adding moisture it can encourage the growth of bacteria, fungus, yeast, and viruses including Botulism. 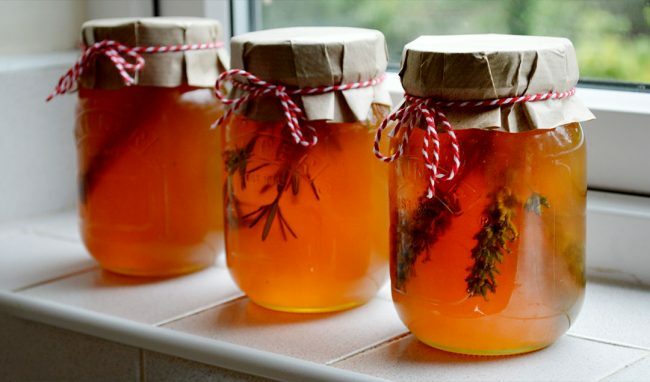 I cannot find any cases of people being affected by botulism in infused honey but it’s possible that wet plant material could create habitats for it to grow. And yes, the spores could be on fresh herbs. 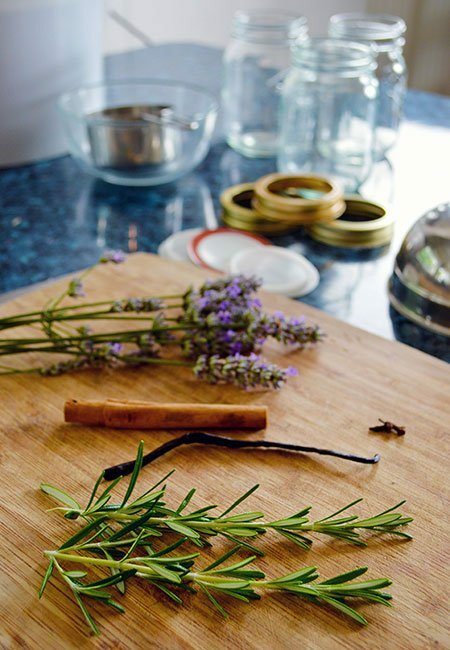 Place your chosen herbs, spices, and flowers into clean and sterilised jars. You can sterilise them by running them through a dishwasher or by placing them in an oven at 130F/54C for 30 minutes. Allow them to come to room temperature before filling. When filling, the general rule is to use 3-6 teaspoons of dried plant material per cup of honey. If you’re using fresh, you can double that amount if you wish. The more herbs and flowers that go in, the stronger the flavour will be. With spices it’s more of a guessing game based on your own experience and taste. A teaspoon of cloves is going to be a lot stronger than a teaspoon of cinnamon stick! In the video, I show how to make three types of infused honey and this is how much I used for each pint: 2 stems of rosemary; 7 stems of lavender; one vanilla pod, a cinnamon stick, and two cloves. 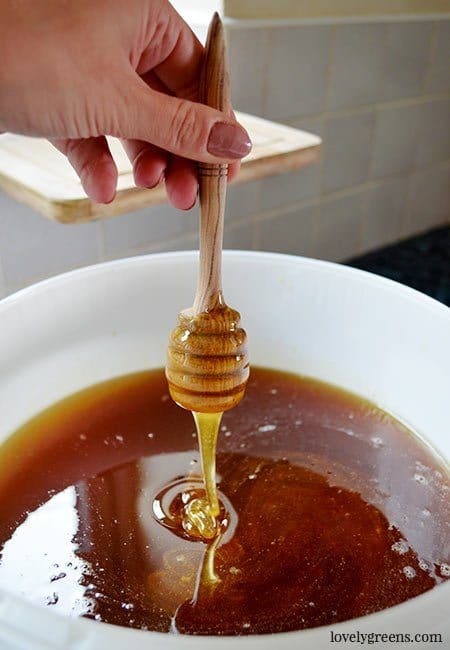 Ladle or pour honey into the jars and fill them up to about 1/4″ from the top. 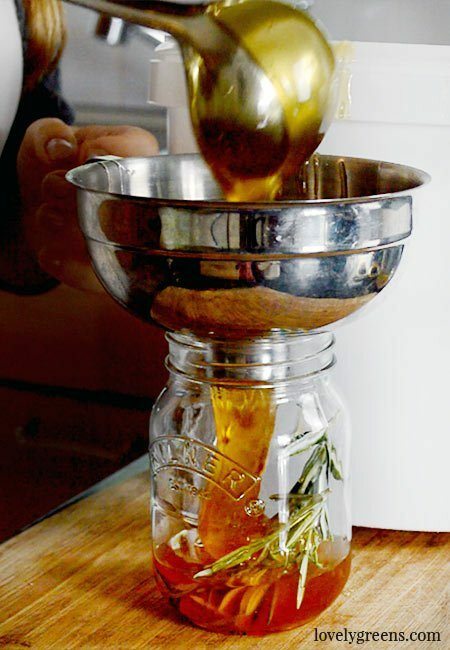 Screw the lids on and place the jars in a warm window to infuse. Every day or so, gently shake the jars to help the flavours infuse. After a week, you can dip a spoon into each and have a little taste. If you want the flavours to be stronger, leave them to infuse for longer. When you’re happy with the flavour, strain the herbs and spices from the honey and discard. If you use ground spices you won’t be able to strain them out so a lighter hand with them will probably be for the best. 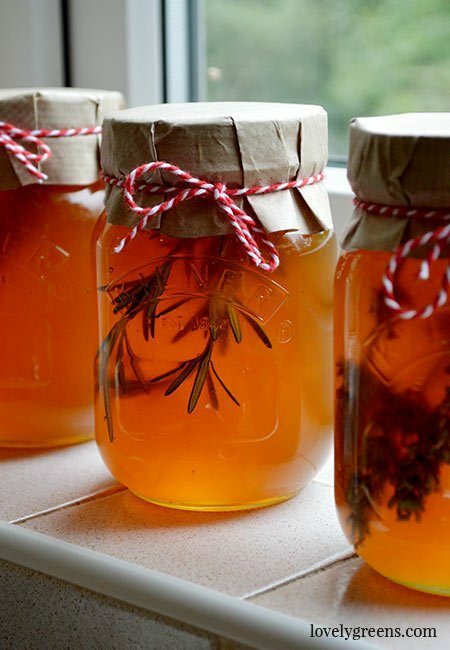 If you’re planning on gifting your infused honey and wish to keep the herbs inside for decoration, make your honey a week before you give it. Instruct the lucky recipient to strain the herbs themselves on the gift tag. Hey, sometimes you love the idea of something but don’t have the time to make it yourself. OR you want to try something before you end up investing in making a few dozen jars of it (smart move). 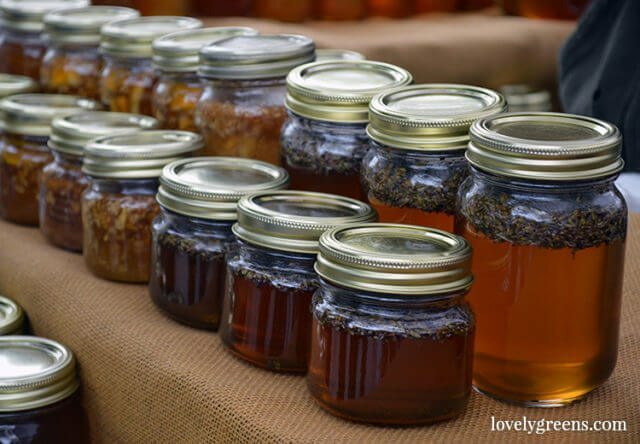 The items below are infused honey that you can order direct from Amazon and I think will give you an excellent taste of what this DIY project holds.